Last week our State within a State crossed borders and brought Punk to the People of Edinburgh, but there is much more work yet to be done. After leaving the Festival City, Punk State has journeyed to our Home City, turning its laser focus northwards to Aberdeen. Even here, fifteen miles from our brewery, there is a dominance of mass-produced industrial beer. In our back yard. That can’t be allowed to stand. Aberdeen – we are coming to Union Square on Saturday 1st & Sunday 2nd September. From 11:30am to 6:30pm on both days you can join us at Union Square and have a Punk IPA on us. This first taste of a new way of thinking should be the spark that lights a lifetime of better beer – but the only way to be sure is to taste it for yourself. We will be manning the barricades of our city-centre roadblock to spread the word that in the Punk State, bad beer is banished but everyone is welcome. Once those barricades come down our quest will head southwards again and re-cross the frontier into England where battle lines will be re-drawn in South Yorkshire, and the city of Sheffield. 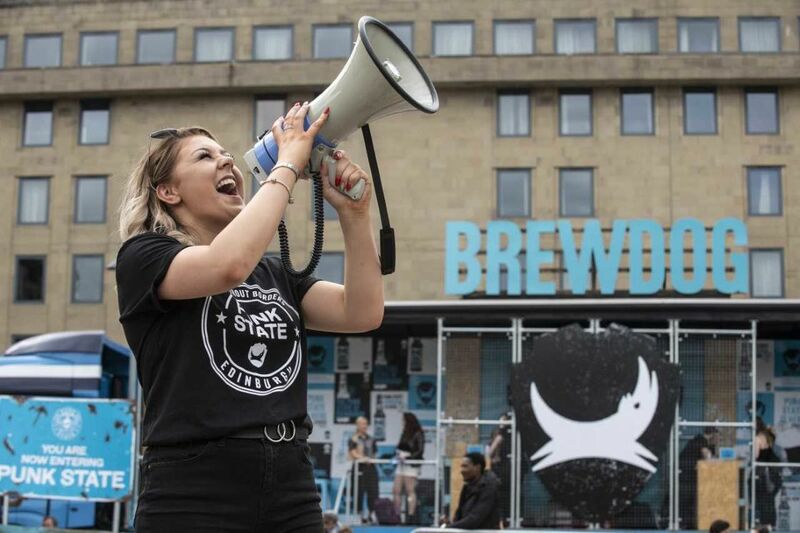 To take part, head along to Fargate on Saturday 8th or Sunday 9th September and join us in Punk State Sheffield. Until then, you can pledge allegiance to independence in Aberdeen this coming weekend. Our city has supported us ever since we opened the doors to our flagship bar there eight years ago – but sometimes the fight has to be taken to your doorstep. Our weapon of choice? Fresh cans of Punk IPA, the beer that kick-started the craft beer revolution. Power – and Punk – to the People.